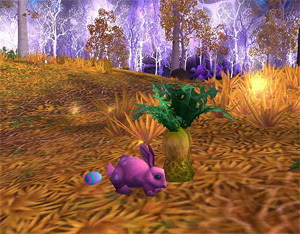 Daily quests have become an important part of World of Warcraft, especially those who are farming reputation or gold. Daily quests make it possible to earn reputation and gold by repeating the same quests over and over, once per day. Each character is allowed to complete up to 25 daily quests per day, and most of them are pretty standard quests that involve gathering a certain number of items or killing a certain number of creatures in a specific area. Let’s take a look at some of the best places to complete your WoW dailies. The daily quests in the storm peaks are wonderful because they earn you both gold and reputation. Most of the WoW dailies in the Storm Peaks will earn you about 13 gold per quest, and all of them will earn you reputation with the Sons of Hodir. The Storm Peaks is really the best place to start running your daily quests, especially if you have a brand new level 85 toon. Characters of most, if not all, classes and races can benefit from the shoulder enchantments that are available to purchase from the Sons of Hodir quartermaster after they reach exalted status with the faction. There are also some very interesting mounts, some jewel crafting designs, and a tailoring design that all tailors will want to have. Another area of the game that has plenty of WoW dailies is the Argent Tournament Grounds. Many players love to earn the collectible gear and status points by participating in the daily Argent Tournament quests. These quests are very simple, and some of them involve things like jousting and aiming for targets. This part of the game came along with the Trial of the Champion, which is a five-man instance in the Argent Crusade area. Overall, the Argent Tournament dailies are really a breath of fresh air when it comes to daily quests because they are so different than the average WoW dailies. They also earn you gold and Champion’s Seals, which are used to purchase various rewards from the tournament grounds.